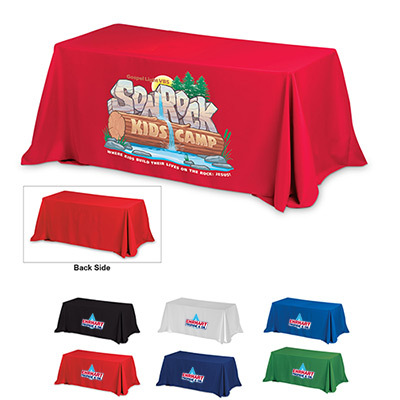 Have you imprinted your brand details on personalized Style Economy 8 ft Table Covers? 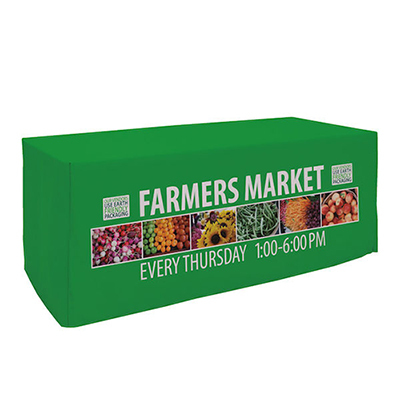 Item Size: 88" x 154"
This stylish table cover can fit on a wide range of tables. The pricing is very reasonable and will meet most tight budgets. 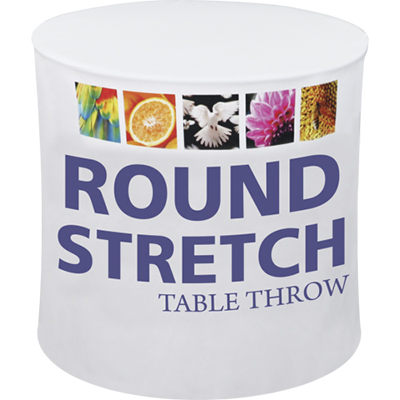 The best of Premium Weight 340D Polyester fabric is used in its making. There’s no maintenance required. Just machine wash them and re-use them! Available in rich colors such as Red, Royal, Navy, White, Black, Grape, Lemon Yellow and Kelly Green. 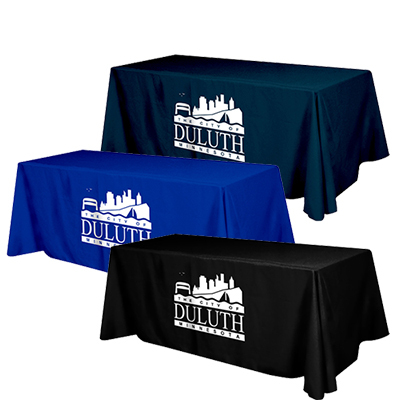 You will not regret going for these table covers! 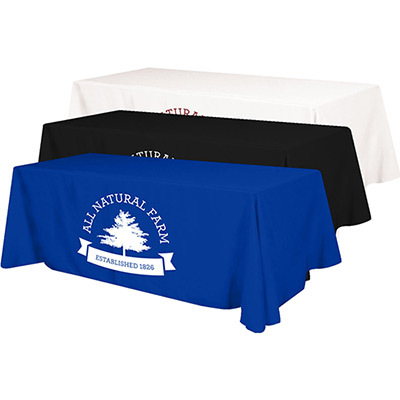 Style Economy 8 ft Table Covers are great to brand your business!